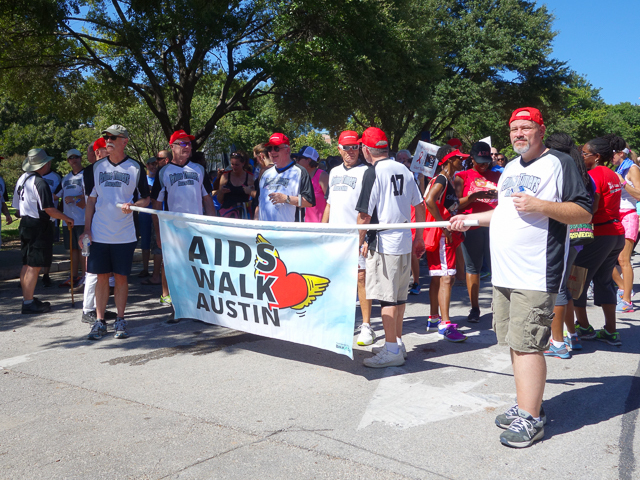 The 29th annual AIDS Walk Austin wound through our downtown streets on Sunday afternoon. For the past few years, the event was held in Republic Square Park. Currently that park is being renovated, so this year’s walk started and ended at Palm Park near the I-35 service road. 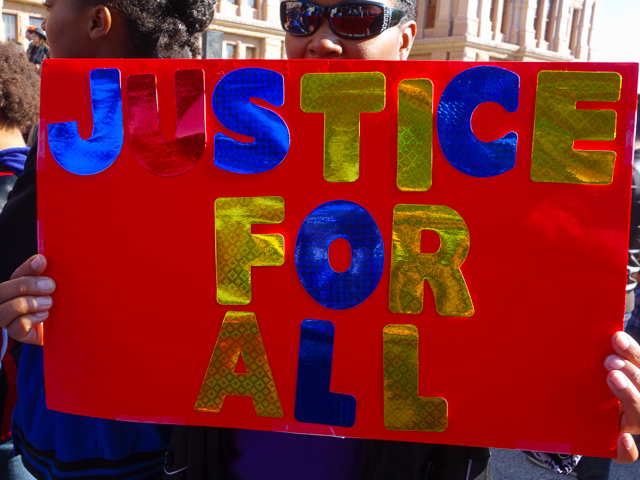 This fundraiser benefited AIDS Services of Austin and other local AIDS service organizations. 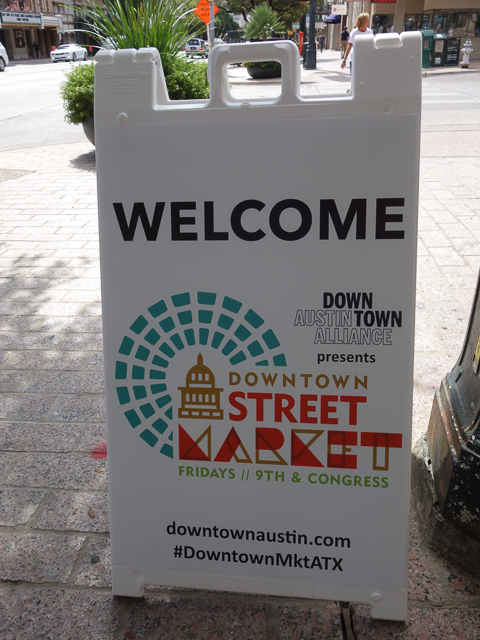 Last week I checked out the Downtown Street Market on Congress Avenue near 9th Street. This lunchtime event is sponsored by the Downtown Austin Alliance and is scheduled for every Friday through mid-November. 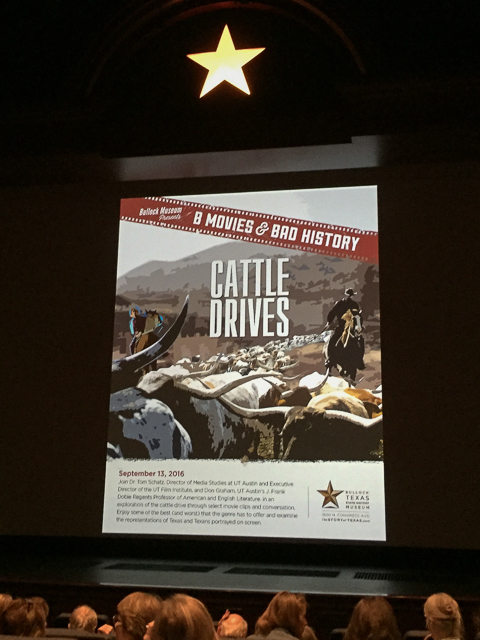 This week Bill and I attended a B Movies and Bad History discussion at the Bob Bullock Texas History Museum. This ongoing series strives to set the record straight about Texas history as depicted in the movies. During this week’s hour-long installment, we viewed clips from old Westerns interspersed with Cattle Drive insights from two UT professors: Don Graham (American and English Literature) and Tom Schatz (Radio/Television/Film). 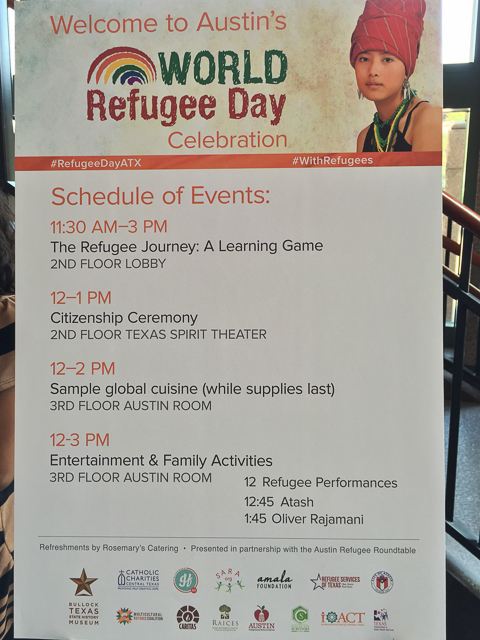 Although the United Nation’s World Refugee Day is officially today, World Refugee Day was observed in our city with a Saturday afternoon celebration at the Bob Bullock Texas State History Museum. The event was sponsored by the Austin Refugee Roundtable, a coalition of non-profits who provide services for local refugee resettlements. I was thrilled to attend two afternoon sessions of the recent Vietnam War Summit. 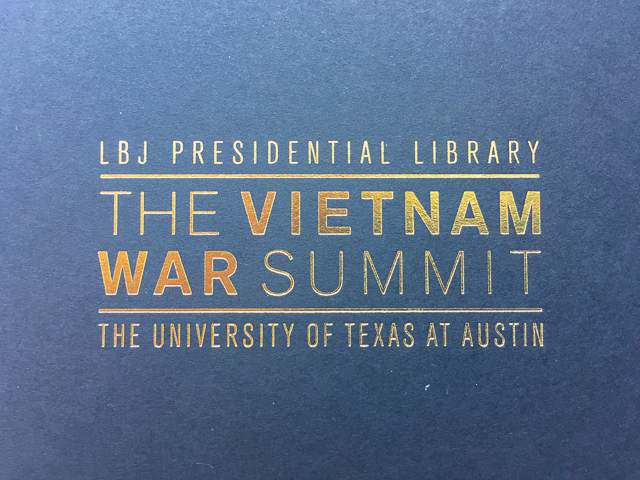 This three-day event was hosted by the LBJ Presidential Library. Panel discussions were held each afternoon in their auditorium, with evening keynotes featuring former Secretary of State Henry Kissinger and filmmaker Ken Burns interviewing current Secretary of State John Kerry. Today was Bike to Work Day in Austin, as well as in many other cities. Fueling stations were set up around town, including one in front of city hall. 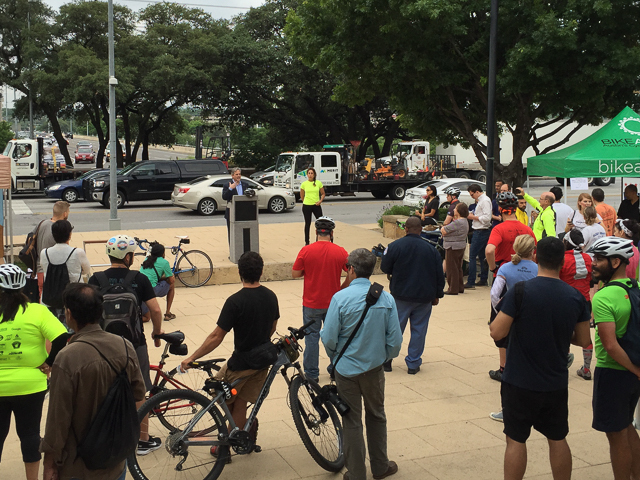 Mayor Steve Adler spoke briefly about the reasons to bike to work: it’s healthy, cheap, fun, and earth-friendly. Based on recent trips to Amsterdam and Copenhagen, he is convinced that our city should be doing more to promote bikes as an alternative for commuting. 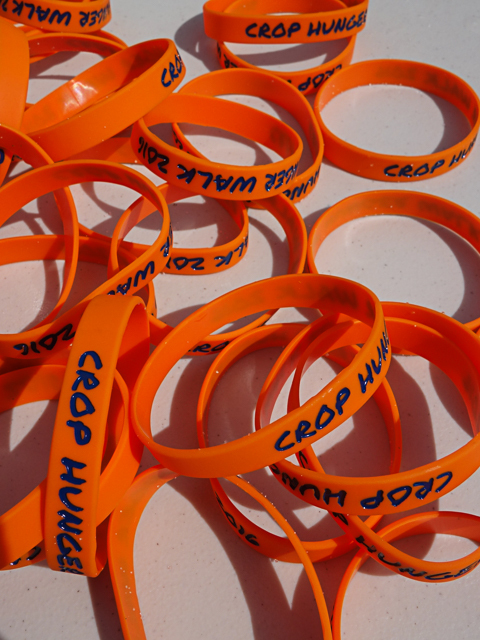 Over 600 walkers participated in Sunday’s Austin CROP Hunger Walk at Camp Mabry. Celebrating its 38th anniversary, the Austin walk brought together various faith communities in a common goal: to help combat hunger locally and around the world. 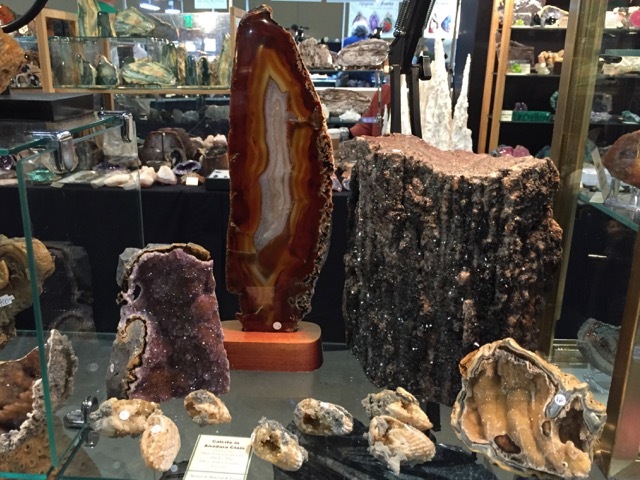 The Austin Gem and Mineral Society hosted their annual Gem Capers at the Palmer Events Center last weekend. 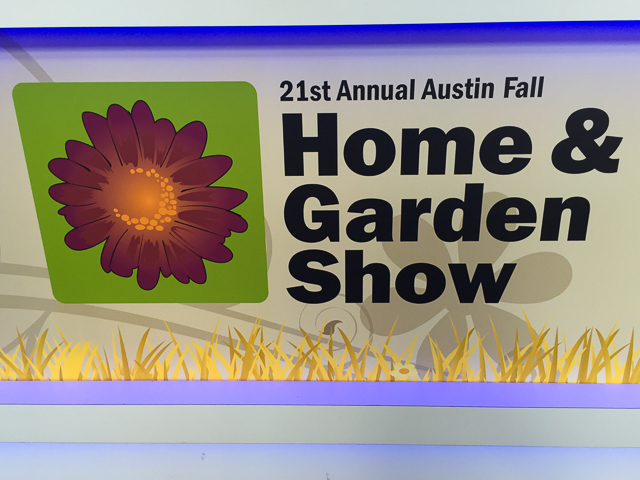 The exhibit floor was fairly crowded when I visited on Sunday afternoon. I’m guessing their overall attendance for the three-day event was higher than usual due to the rainy weather.